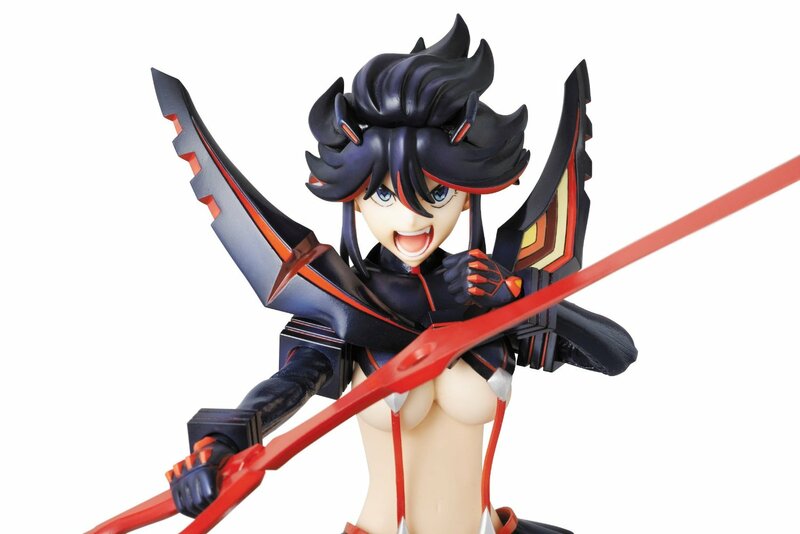 In November 2014, Medicom Toy graced us with this awesome Ryuko Matoi figure sculpted by Perfect Studio and with Akimoto Mieko doing the costume production. 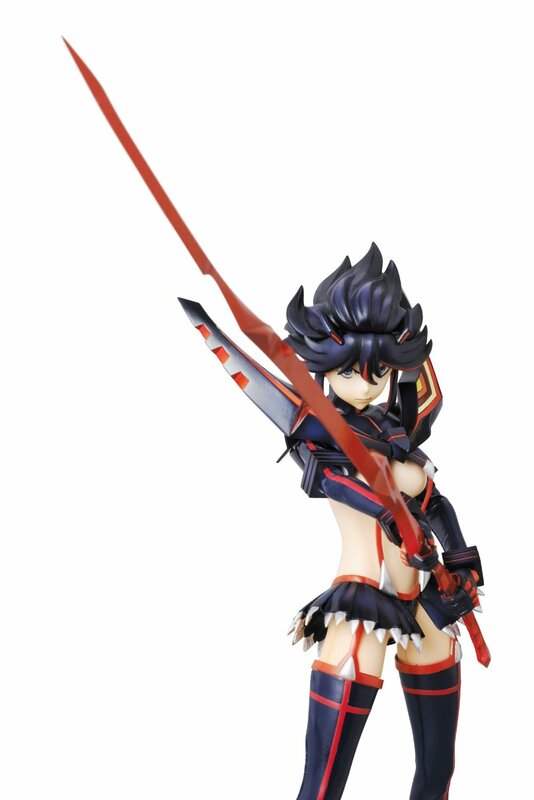 This Ryuko figure is a completely pre-painted PVC and ABS figure with some parts made from real fabric. 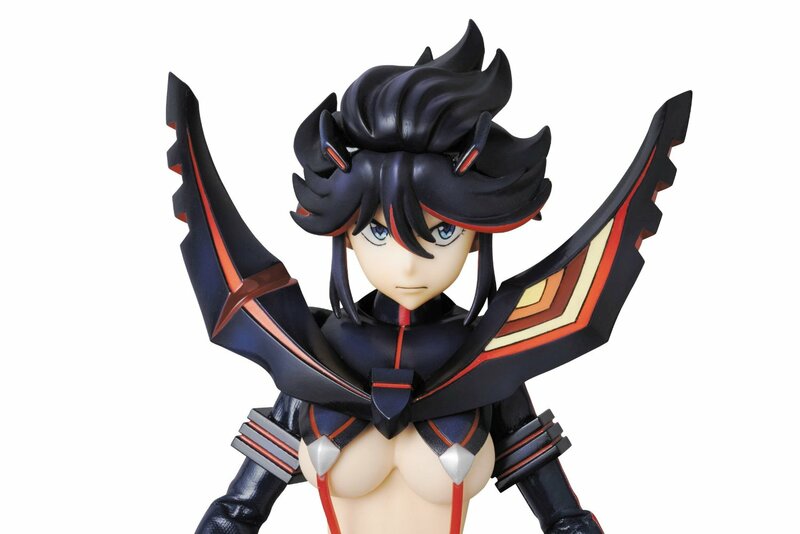 With this 27 cm (10.5 inches) tall figure you will get alternate eyes, alternate expressions, an articulated stand and her signature scissor sword both in normal and decapitation mode. 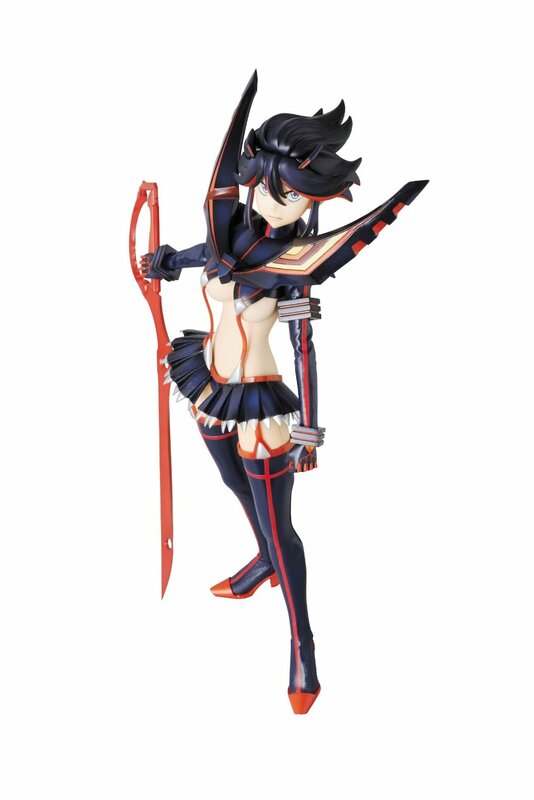 Add to that the highly posable RAH body and you get a must have for your collection.